The Vasari Corridor is perhaps the most hidden monument in Florence. 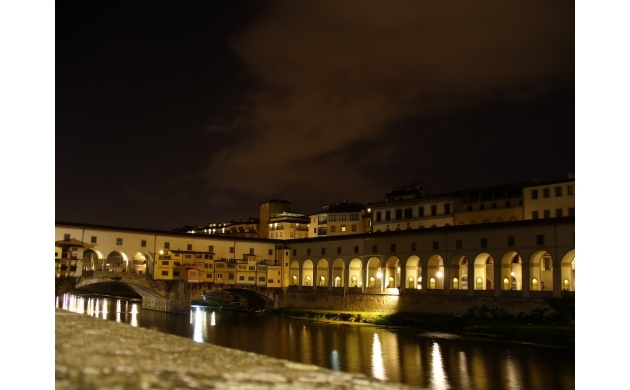 Nearly invisible, it passes over the Ponte Vecchio as well as other buildings of the Florentine city. The Vasari Corridor was constructed by Giorgio Vasari in 1564 by order of Grand Duke Cosimo I de Medici. The Duke was responsible for the construction of many of the most important buildings in Florence, including the Uffizi Gallery and the Boboli Gardens, thus affirming his status as an enlightened ruler, keen on enhancing the beauty of the city for the benefit and health of its citizens. The occasion for the construction of the Vasari Corridor was the wedding of the Grand Duke's son Francesco I to Giovanna of Austria. It was with great enthusiasm that Giorgio Vasari took on the request to build a secure passage that would unite the Palazzo Vecchio and the Palazzo Pitti. The Grand Duke was in fact afraid of an attempt on his life by the Florentine public, who had recently been deprived of their Republic by the hand of the Medici family. Vasari duly came up with the idea of an elevated corridor through which the royal family could pass unharmed, all the while observing the populace from a position of privilege. It was for this reason (that is to say, to enjoy the good view), that Grand Duke Cosimo I removed the butchers from their shops on the Ponte Vecchio, meanwhile inviting jewelers to replace them. In a short 5 months the Vasari Corridor was completed, just in time for the wedding celebrations. The Corridor, roughly one kilometer long, starts its route at Palazzo Pitti, where the Duke and his family lived at the time. It passes through the Boboli Gardens and the Buontalenti Grotta before arriving at the church of Santa Felicita. 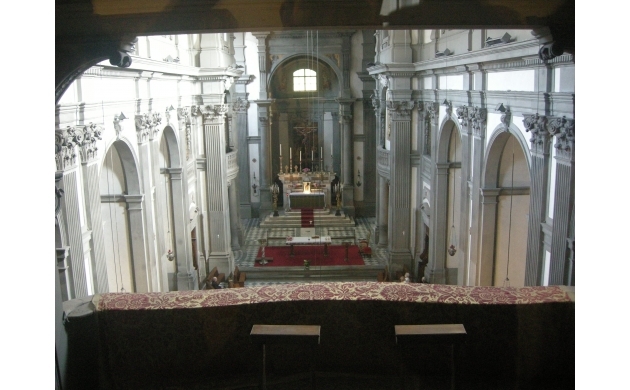 The Corridor appears on the inside of the church via a balcony, from where the Medici family members could attend mass without mixing with the regular people. Just after the church, the Corridor turns to wind its way around the Mannelli Tower. This is a curious fact, given that the Mannelli family was the only Florentine family that denied the Medici's the permission to build within their property. 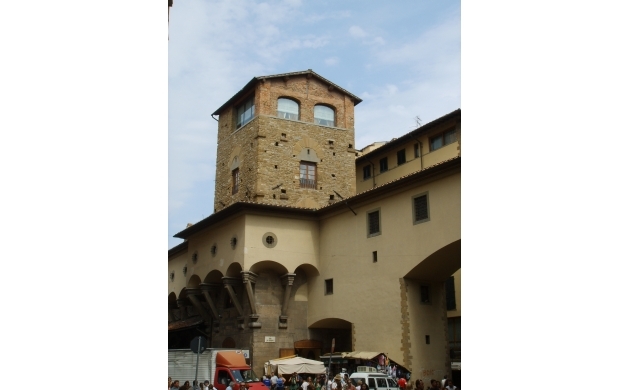 It was for this reason that Vasari was forced to build around the tower itself. Today, the Mannelli Tower is the seat of Florent (if one wishes to visit, just ask). The route continues over the Ponte Vecchio, to then join up with the Uffizi and finally arrive at the Palazzo Vecchio, where in the 13th century the Duke had his offices. Today, organized excursions allow visitors to follow the Vasari Corridor along a different route: starting at the Uffizi Gallery and finishing at the Boboli Gardens. Exactly at the middle of the Ponte Vecchio is one of the Vasari Corridor's most beautiful and panoramic points, a spot tied to one of the crucial events in the history of Florence. Above the bridge and in the center of the corridor are two large panoramic windows that face the Arno river, looking out towards the bridge of Santa Trinita. In 1939 Benito Mussolini was to build a third window in addition to the two already present on the occasion of Adolf Hitler's official visit to Rome and Florence, which was to mark the Axis alliance between Italy and Germany. That visit to Florence was so pleasing to the Fuhrer, and to his nazi hierarchy, that at the end of the war, during the Nazi retreat from Italy, while all the other bridges in Florence were destroyed, the Ponte Vecchio and its Vasari Corridor was the only one to be spared by Hitler because of his recollection of its beauty. One curious fact which is full of irony: during the war in August of 1944, the Corridor was often used by partisans as the only passage capable of taking them behind enemy lines. Today, the Vasari Corridor has lost its original function as a means of passage between the two buildings and has instead become a magnificent museum attached to the Uffizi Gallery. Inside it hosts paintings starting from the 16th and 17th centuries, as well as a huge collection of portraits and self-portraits that continue to expand even today, making the Corridor the largest and most important collection of self-portraits in the world. Among these, the works of Filippo Lippi, Rembrandt, Velazquez, Delacroix and Ensor stand out. The last part of the route was renovated in September 2003 and now hosts a large number of self-portraits of contemporary artists. Many other works and self-portraits are still waiting to be displayed due to the lack of exhibition space. 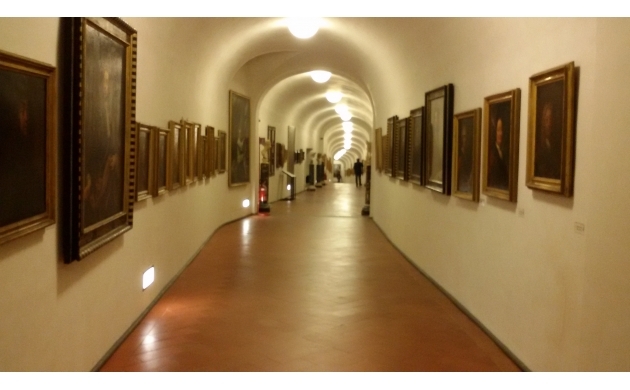 Because of the tightness of the Corridor, and in order to protect the works of art, the Vasari Corridor can only be visited by appointment and in guided groups pre-arranged two weeks in advance with the secretary of the Uffizi Gallery. 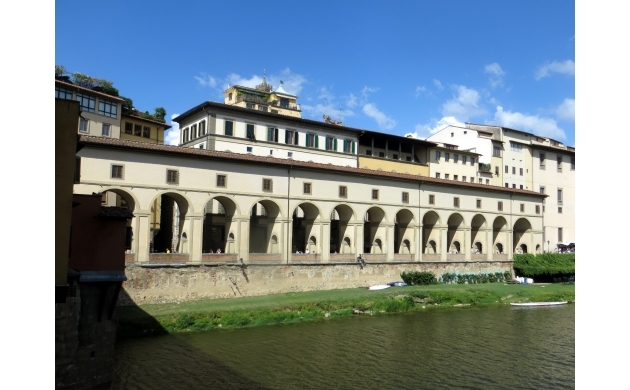 The Vasari Corridor is open Tuesday through Sunday, from 8:15 until 17:15.